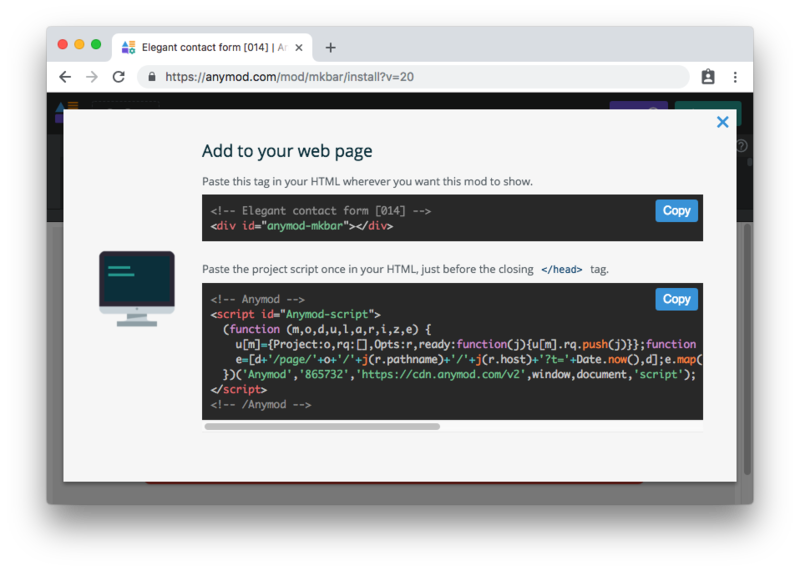 Anymod has everything you need to add forms without your own server-side code. 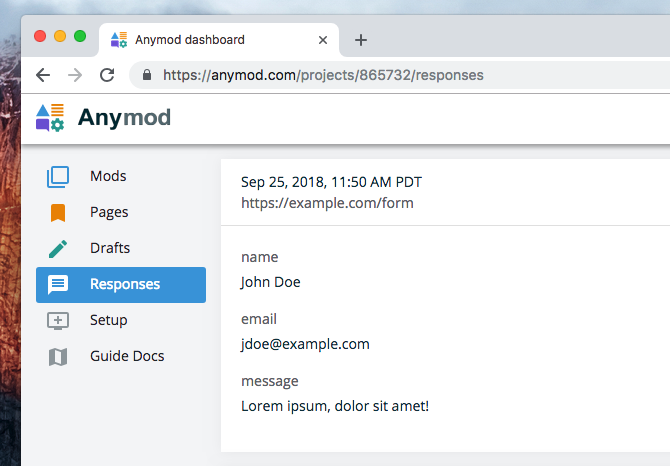 You can collect form responses in the Anymod dashboard or send the responses anywhere you choose, like MailChimp or another external service. Anymod has dozens of forms to choose from in the library . These forms will work automatically, unless they specifically mention using with an external service like MailChimp. This is a live contact form. Responses go to a project dashboard as described below. When a visitor submits one of your forms, their response shows in your dashboard automatically, and by default you also receive an email notifying you of the form response. You can connect your mod forms with any external service you want, so that your form data is submitted to that service. This form does not work out of the box because it requires a MailChimp API key. 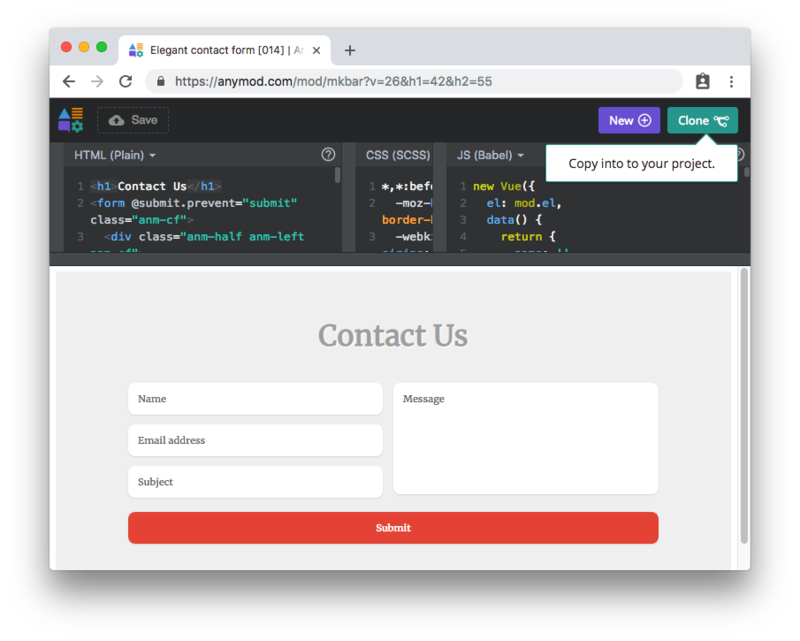 To learn more about building custom forms to interact with external services, see the Axios, MailChimp, and reCAPTCHA examples.